The CycleOps Wind Indoor Trainer is best for beginner to mid-level cyclist. It is inexpensive and is made by a high quality company that stands by their products, which is proven by the Lifetime Warranty on the steel frame. It is easy to assemble and get your bike on and off from. If you are looking for a wind trainer, the CycleOps wind indoor trainer may be for you. If you are wondering how to find the best Indoor Bike Trainer for you, check out my article Beginners Guide on Indoor Bike Trainers. Click on the image to buy the CycleOps Indoor Wind Trainer on Amazon. It takes about 10 minutes to assemble. The instructions have pictures and wording to help. Some have felt that the instructions can be confusing. Here are some tips. When you put it the trainer together make sure the fan is placed on the left side (opposite the chain.) The quick release shaft has a flat side and a cone shaped side. It is hard to tell which side is recommended. The flat side works best. The instructions also show you how to set your bike on the trainer. It is easy to get your bike on and off of the wind trainer. Do you need to change the set up for different bikes? Yes, you always want to make sure the trainer is adjusted to fit the tire. And there is a convenient turn knob to make it easy. How does the resistance work on the CycleOps Wind Trainer? A weighted metal fan blade generates wind resistance as you pedal. The faster you pedal the more resistance is generated. At 30mph wheel speeds, the CycleOps Wind Trainer will generate 600+ watts of resistance. Does the resistance stay consistent? 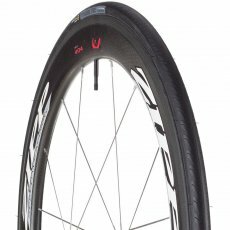 The resistance is variable and it builds at a progressive rate with increased wheel speed. The Vortex blade design generates progressive resistance and simply shift gears changes the resistance. Although, at some point you may not be able to increase the resistance. When you first start using the wind trainer, spinning the fan faster generates more resistance. But, the better shape you get in, the faster you can spin the fan. The wind trainer just can’t generate more resistance. This is when you need to buy a more advanced trainer. If you are an experience cyclist, this may not be the trainer for you. Does this trainer fit all types of bikes? Yes, The quick release locking mechanism can be adjusted to accommodate both mountain and road bikes. What is the roller size and amount of wear? The 2" resistance unit roller allows for 650b, 700c, 26", 27" and 29" wheel sizes – up to a 2.0 tire. How stable is this trainer? The rubber coated base pads on the trainer are adjustable to level out uneven surfaces. It also has a smooth ride that mimics the feel of the road through the Vortex blade technology. Does it fit all bikes? The CyclOps wind trainer is designed to fit common road and mountain bike frames. As long as your bike uses a standard rear quick release skewer, then it should work with the CycleOps wind trainer. It also has three settings for rear dropout spacing: 120mm, 130mm and 135mm. What size tires does it fit? Fits 26", 27" tires and 700c or 20"-24" tires with optional adapter (WT7025) that you need to purchase separately. Does it fold up and easy to store? The high quality steel frame of the Wind Trainer is foldable and stores away easily. Simply remove the bike by pulling the quick-release skewer and then slide frame together so that it is compact. CycleOps trainers are tested for users are tested to the combined weight (rider and bike) of 300 lbs. Is heat an issue with the trainer? With all trainers, you will need to place a fan by the tire to help keep the trainer cool. You may also want a fan pointed at you, to keep you cooler. Does it come with a front wheel leveler or a riser? No, you will need to buy one separately. Does it come with a quick release skewer? A custom bike skewer comes with the trainer. You should always use a trainer skewer so it fits perfectly and will not scratch the paint on your bike. Does this trainer make a lot of noise? The CycleOps Wind Trainer is the least quiet trainer that CycleOps makes. Sometimes the trainer will generate more noise based on the tires you use. The tire tread pattern can cause more noise. For a quieter ride, use a training tire. Do you have to change the tires to use the trainer? You don’t, but it is recommended to use a training tire. It wears less and can generate less noise. Although, the precision-machined alloy roller reduces tire wear and slippage. How do you track speed and cadence on a trainer? You need to buy the accessories that work with your Cycling GPS Unit such as a Garmin. These accessories that track you workout are a speed and cadence tracker and a heart rate monitor. 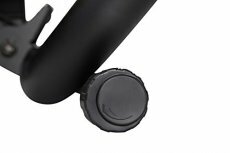 The speed sensor attaches to either wheel and self-calibrates with your Cycling GPS Unit to accurately track your speed and distance. The Cadence sensor fastens to your pedal and measures pedal strokes per minute (spm) so you can maintain your workout. The heart rate monitor is also important to train effectively. You need to first know your resting heart rate. Then you can use heart rate to determine the ideal intensity for your workouts. How do you buy replacement parts? Check out the parts drawings Here to locate the part you need, call the Customer Service team at 1-800-783-7257 to order. There is a Lifetime Manufactures Warranty on the trainer. If anything happens to the frame, CycleOps will repair it for the lifetime of the product. The components, which include the resistance mechanism, are covered for 3 years. Make sure you keep your receipt as proof of purchase to get anything fixed. The CycleOps wind trainer is for entry to mid-level riders who want a simple machine that will not have many problems. The Wind Trainer is also inexpensive for an indoor trainer as are most wind trainers. Click here to see the price of the CycleOps wind trainer on Amazon. CycleOps also perfected the feel of wind resistance through the Vortex blade design. The CycleOps wind trainer is simple which means fewer parts to fail. CycleOps is a high quality company that stands by their products. The wind trainer also comes with a Race Day Training DVD to help get training started. You can also try the Two Week VirtualTraining Trial to test out the VirtualTraining software without making any monetary commitment. This feature tracks data, riding along virtual routes, and allows you to compete with others for motivation and challenges.